Have a question for Evolution Apartments? "the 1 nice one was lovely." "Great location for work in the city." "Comfortable room with great view if you have time to enjoy it." "We had a great stay in our apartment." Along the Brisbane River in the North Quay precinct of Brisbane's central business district is Evolution Apartments. The 36-story apartment comprises of 178 spacious guestrooms, ideally located in the Brisbane area. The Evolution Apartments offers one-bedroom and two-bedroom apartments along with top notch facilities that include a heated lap pool, spa, gym, garden deck, media room, barbeque facilities, Sky Lounge, and amazing recreational facilities. 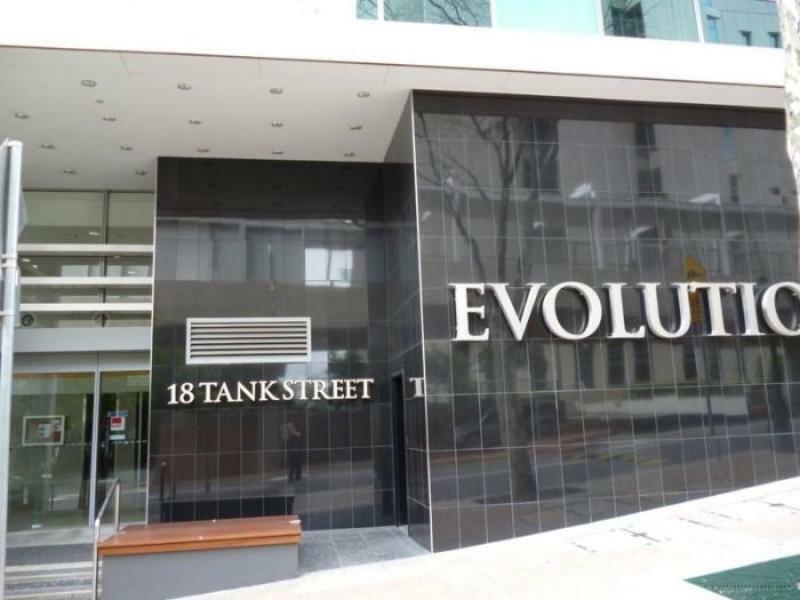 Evolution Apartments is a short walk from many dining, shopping, and entertainment areas which include Queen Street Mall, Southbank Parklands, Brisbane Convention Center, The Barracks, Caxton Street, Queensland Performing Art, Suncorp Stadium, and many other corporate locations. The hotel is highly suitable for travelers on business as well as leisure. "Staff is very friendly, room is spacious." A credit card security deposit of 200 AUD is required upon check-in for charges or damages during the stay and will be refunded within 7 business days following your stay. For 'Healthy Sleep Package' rooms - Before guests arrival, beds will be professionally sanitized by RemUVe, the world’s first medically certified mattress purification device. This package also includes an Essential Oil Sleep Mist Spray for guests' sleeping pleasure. We have 2 apartments both can see the river. Its easy access by walking to Southbank and Queen Street. Only 5 mins walk to the Roma Street Station which save our hassle travel from the airport and to Gold Coast by train. Apartment is clean. Great apartments, central to everything. We used lime scooters to get everywhere. They were doing maintenance when we stayed but it didnt disrupt the holiday. The view of Brisbane River is spectacular! Walking distance to South Bank recreation area. The walking bridge is just downstairs. Staff is very friendly, room is spacious. Very happy with the accommodation overall. Parking is provided, however there is $30 per day extra charge. We had a two bedroom apartment which had spectacular unimpeded views of the Brisbane river. Spacious and clean rooms. A special mention to Matthew on the front desk who was most courteous and helpful and went above and beyond , many thanks Matthew. We will be returning. I can't remember the name of the male staff that I checked in with but he was very quick and efficient, I also arrived early and the room was to go. Location is amazing with parking on premises. We had a two bedroom apartment for us, the parents and grandparents. A separate unit on the same floor for our adult son was arranged on check-in ....not requested by us but on initiative from the staff. Our views of the Brisbane River/South-East freeway were exceptional. Our sons, not much so, but as a family, he spent most of his stay in our lounge/balcony. The staff were so helpful. A nephew/grandson visited and Evolution Apartments have capacity for free four hour parking for guests... in the middle of the CBD. Such a bonus for country visitors. Highly recommended for CBD stay. Great apartment with amazing views of the river and facilities available. Staff were friendly and helpful. Laundry and kitchen options were great to have as well as BBQ and Entertainment areas on communal floors. Really enjoyed our stay! Good location and great price performance. It's a apartment hotel in CBD. The night river view is wonderful. We arrived before check in time，but still helped us check in. Car Parking price pluses points for me. Comparing other parking starting from at least 11dollars per 20 minutes，it only costs us 30 dollars for whole day and night parking. Really love this apartment! The location is great, near to the town centre and also to south bank as it is near the Kurilpa pedestrian bridge. Everything was within walking distance, there's a 7-eleven and night owl nearby. The view was superb! It is just amazing to see the southbank area from the balcony. The 2 bedroom apartment was nice and clean although the room with the view is so much smaller than the other room. Will definitely book this apartment again if coming back to Brisbane. We had free time between check-out and depart time, so, we might suffered from having luggage at that time. However, at Evolution Apartment, they help to drop my luggage. after then, I could enjoy city trip. It is too convenience to reach to the serviced apartment. We got a last minute booking for a 2bedroom apartment at a great price. The apartment was lovely (though the lounge area had not been cleaned thoroughly) we had problems with our TV so were promptly moved next door. The beds were extremely comfortable and the view was spectacular. Staff were very accommodating. Would stay again. Convenient for those who do not drive as it is close to CBD and train station. Staff were friendly and helpful. But the apartment we stayed was a bit dated and the air-condition in one of the bedroom didn’t work properly. Some detailed cleaning is required eg splatters on the blinds in main bedroom and white leather sofa needs cleaning. Did not like the metal table and chairs for the meals area - on the whole I enjoyed my stay very much. We had a great stay in our apartment. A stunning view of the river and easy walk to southbank. The staff let us use the shower and lounge as we came from an overnight flight. Highly recommended.